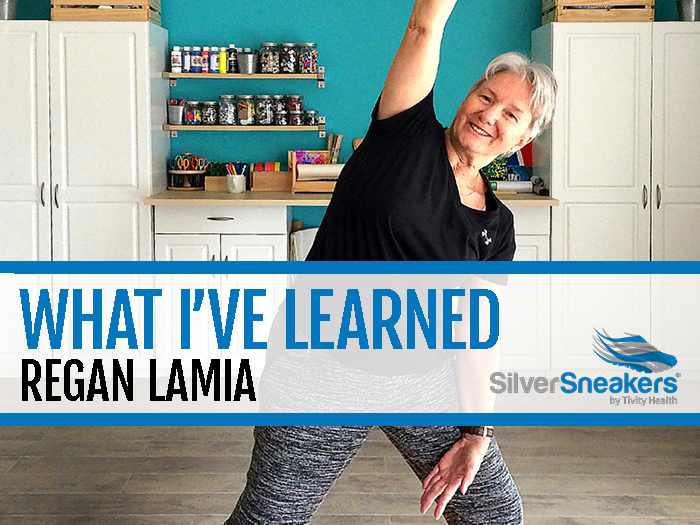 Fitness cures and opens doors, says SilverSneakers member Regan Lamia. But you have to be willing to step away from your comfort zone. These days, it’s hard to find a free space on Regan Lamia’s calendar. While the 68-year-old Texan technically retired from a long teaching career three years ago, it was kind of like how Cher announced her “farewell” tour in 2002 and is still selling out arenas today. Some people just don’t know how to quit, and Regan is one of them. On any given day, you can find Regan reading to elementary-aged children at Education Connection, a program that promotes literacy in the Greater Austin area, or volunteering at the Allen R. Baca Center for Senior and Community Activities, where she helps with paperwork and chips in on initiatives like Meals on Wheels. 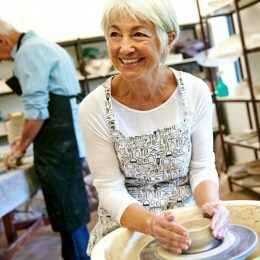 Science supports Regan’s hustle: Seniors who volunteer at least once per week are happier than those who don’t, according to research in BMJ Open. Lending a hand can make you feel more accomplished and boost the size of your social network, which can help fend off isolation, say the researchers. But aside from being a Good Samaritan, Regan also stuffs her schedule with plenty of athletic pursuits. You can catch her at either the YMCA in Round Rock or Hutto several days per week, where she crushes every yoga class on the schedule. Lately, she’s been itching to find time to join her fit friends in a Monday, Wednesday, or Friday volleyball match, “but I just have too much going on!” she says. No kidding. Miraculously, we did manage to steal enough time from this busy SilverSneakers member to learn how she stays more active than ever as a senior. Here are three of her secrets. When both of your parents play varsity sports in college, as Regan’s folks did, it’s a good bet you’ll always stay moving. Sure enough, as a kid, Regan’s life in Louisiana was anything but lazy. Mom swam at Louisiana State University and dad played tennis at Georgia Tech, which meant every house came with a swimming pool out back and the kids learned to master their backhands in middle school. “My family was always very involved and interested in good health and fitness,” she says. Regan has stuck with both swimming and tennis—and picked up new heart-pumping hobbies along the way. As she made her way from Louisiana, where she taught grade school for 10 years, to Johnson City, Texas, where she spent the next two decades leading classrooms full of kids, she added walking and cycling to her daily routine. There’s nothing fancy about either mode of exercise, and that’s exactly how Regan likes it. 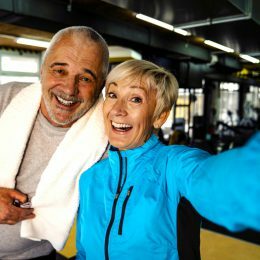 Though Regan occasionally hit the gym when she had some spare time, it wasn’t until three years ago, when she retired, remarried, and settled in Georgetown—25 miles north of Austin—that she began to see all her local fitness centers had to offer. 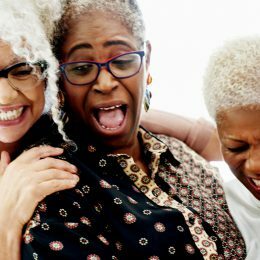 “I learned I could join SilverSneakers for free through my health plan,” she says. The program opened up a world of possibilities. The same year Regan moved to Georgetown, she fell on concrete several times, including during a doubles tennis match. Even though she considered herself to be in good shape, the falls were concerning, especially on top of her preexisting conditions: mild scoliosis and osteopenia, the precursor to osteoporosis. Her doctor recommended boosting her balance, flexibility, and strength to further stave off the side effects of aging. Regan immediately linked up with a personal trainer and learned moves to improve every problem that ailed her, from lunges to planks to resistance band exercises. After one-on-one sessions, she moved on to yoga classes through SilverSneakers, including chair and mat yoga, and never looked back. Regan has made tangible changes from head to toe, thanks to the knowledge she’s gained through her classes. Regan didn’t just build a better body through SilverSneakers—she also built a new support system. She knew when she started taking classes that she’d meet like-minded fitness fanatics, but she was still surprised at the range of women all united by a similar goal. But the women don’t just exercise together—they eat, play, and travel with each other too. Regan never misses monthly luncheons, bingo contests, and game nights with her gal pals. The ladies even take day trips to historic houses, theaters, and bee farms. Each unique activity takes up yet another page in Regan’s packed planner, but also represents a new opportunity for her to grow. It’s a mindset everyone in her shoes should adopt, she says.